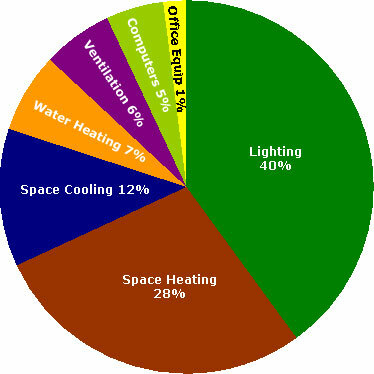 You can realize savings of 20% - 80% with energy controls for your home or commercial building. The operation and maintenance of your buildings are major expenses. A large portion of those expenses are derived from utilities costs and equipment repairs or replacement. But these costs are also the most controllable. Managing a building’s energy efficiency is paramount to maximizing its operational and financial performance. EZ-Integration is here to guide you through the process of identifying and addressing the myriad of opportunities to make your building more energy efficient, easier to manage, and more financially robust. The key is taking the right measures in the right sequence with proper controls to automate the operation of the building. Replacing older, less efficient equipment is a great start to improving your building’s performance, however; the essential component for long-term energy reductions lies within providing a mechanism for controlling the equipment in a building without requiring human interaction. That's what a Building Management System (BEMS) provides. Building Management Systems (BMS) integrate the mechanical and electrical systems in your building, providing a single interface and leading your facility to operate more efficiently. By automating the operation of these systems, they can be shut off or set back to more efficient settings when a building is unoccupied or the right conditions exist. This lengthens the life of equipment, reducing maintenance frequency and costs. EZ-Integration can design the right BMS to meet your goals and needs. With the proper planning and BMS, savings of up to 80% can be achieved. Call us today to learn what a BMS can do for you. You've likely heard about the first step to energy savings in a home: Replacement and upgrades. Many organziations will tell you to do things such as replacing your old thermostats with digital, programmable thermostats, adding insulation, replacing old windows and doors, and replacing your old furnace and air conditioner with higher efficiency models. But where do you go from there? Can anything else be done? The answer is Yes! Ever forget to turn something off before you left the house? Or perhaps you have kids who love to leave lights on wherever they go. And who has their thermostat so perfectly programmed that it sets back to a more efficient temperature every time you leave the house? What you really need is a system to turn lights, elecrtonics, and other devices off for you. The key to realizing even greater energy savings is home automation. With a home automation system from EZ-Integration you'll never have to think twice about what you or your kids left on. With the press of a single button on your way out the door, our system will turn off the lights and devices in your home and setback your thermostat automatically. Be assured nothing gets missed and you'll see the savings start adding up. Call us today to learn more or schedule an appointment.